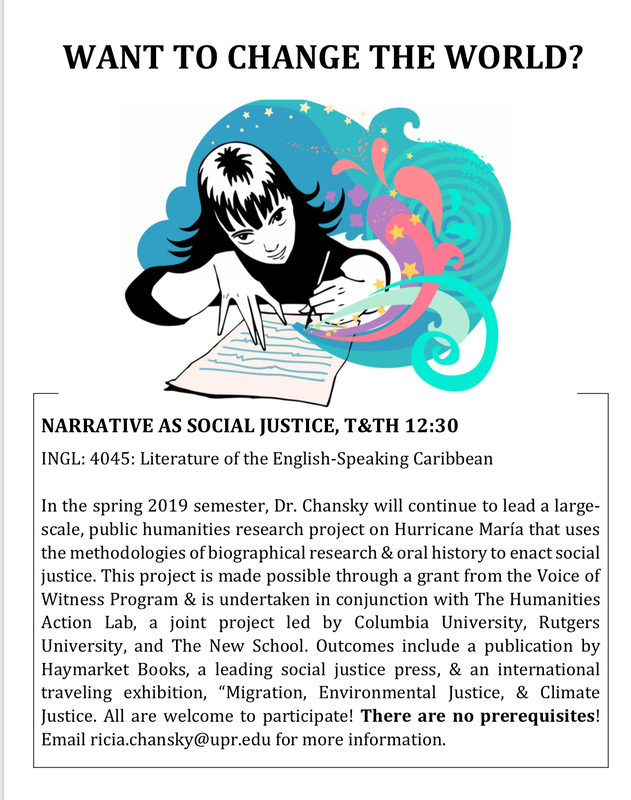 Dr. Ricia A. Chansky will be offering two different Literature of the English-Speaking Caribbean courses, INGL 3318 and INGL 4045, this upcoming Spring 2019. Both courses are action-research courses connected to the Narrative as Social Justice project. Those that already participated in the project this semester, can also enroll in the project again, for next semester. 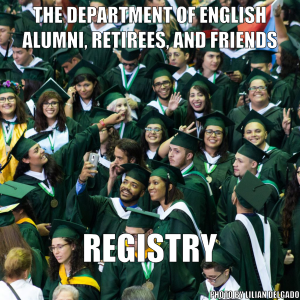 INGL 4045 has NO prerequisites and satisfies post Intermediate English requirements and English Department Professional Electives so all are welcome! Check out what 3318 will be covering here.